Ali Övgün is a theoretical physicist and works on general relativity, cosmology and astroparticle physics. This is a vast topic which touches upon many different parts of physics from quarks to universe. He is interested in questions that provide us with information about the foundations of physics. He is studying this relationship further in order to understand the deep connection between black holes and quantum information. Over the years, He has studied aspects of general relativity related to black holes, wormholes, compact stars, quasi-normal modes, black hole's thermodynamics, Hawking radiation, cosmology, inflation, gravitational lensing, complexity, modified gravity theories, AdS/CFT, and holography. -Is it possible that the Big Bang could be replaced with a wormhole at the beginning of time? -Is it possible to create a traversable wormhole? -How can quantum effects be included in black hole/wormhole thermodynamics? -What happens at the edge of a Black Hole or inside a Black hole? -Could Our Universe Be A Hologram? or How Many Dimensions In The Holographic Universe? -Why is the universe expanding at an accelerating rate? - COSMOLOGY: Cosmological models with Nonlinear electrodynamics, Cosmological singularities, Inflation, Acceleration of Universe. -WORMHOLES: Stability of Thin-shell Wormholes and Lorentzian Wormholes (WHs). -GRAVITATIONAL LENSING: Weak/Strong Gravitational Lensing, Light Deflection with Topological Defects and Gauss-Bonnet Theorem. 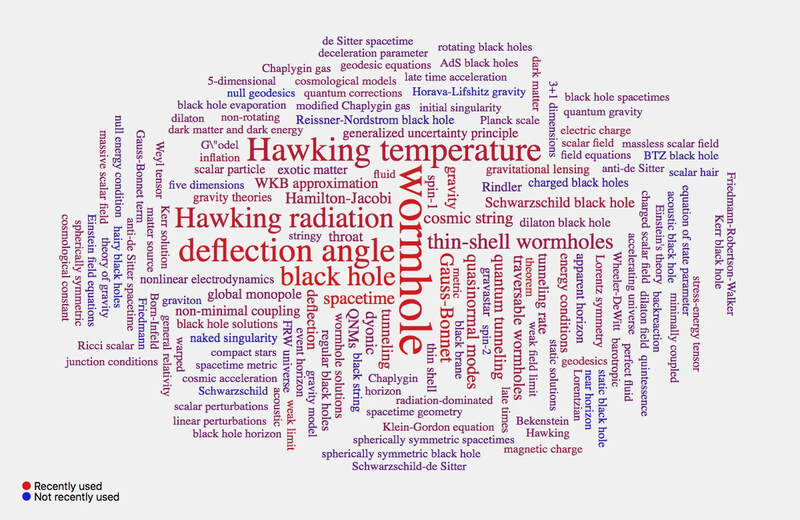 -WAVE PROPERTIES OF BHs & WHs: Hawking Radiation, Quasinormal Modes of Black Holes, Greybody factors, Quantum Singularities.